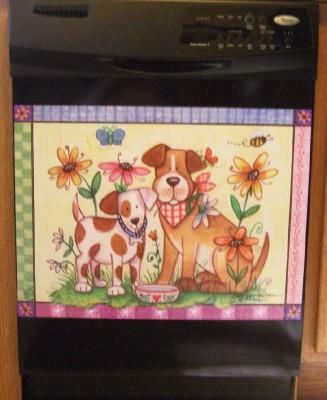 This dishwasher magnet features artwork by Debra Jordan Bryan. Two dogs looking ready to play with flowers and bugs and a cute border around them. Perfect to decorate your kitchen!